The Sveconorwegian orogenic belt resulted from collision between Fennoscandia and another major plate, possibly Amazonia, at the end of the Mesoproterozoic. The belt divides, from east to west, into a Paleoproterozoic Eastern Segment, and four mainly Mesoproterozoic terranes transported relative to Fennsocandia. These are the Idefjorden, Kongsberg, Bamble and Telemarkia Terranes. The Eastern Segment is lithologically related to the Transcandinavian Igneous Belt (TIB), in the Fennoscandian foreland of the belt. The terranes are possibly endemic to Fennoscandia, though an exotic origin for the Telemarkia Terrane is possible. A review of existing geological and geochronological data supports a four-phase Sveconorwegian assembly of these lithotectonic units. (1) At 1140-1080 Ma, the Arendal phase represents the collision between the Idefjorden and Telemarkia Terranes, which produced the Bamble and Kongsberg tectonic wedges. This phase involved closure of an oceanic basin, possibly marginal to Fennoscandia, accretion of a volcanic arc, high-grade metamorphism and deformation in the Bamble and Kongsberg Terranes peaking in granulite-facies conditions at 1140-1125 Ma, and thrusting of the Bamble Terrane onto the Telemarkia Terrane probably at c. 1090-1080 Ma. (2) At 1050-980 Ma, the Agder phase corresponds to the main Sveconorwegian oblique (?) continent-continent collision. It resulted in underthrusing and burial of the Idefjorden Terrane to high-pressure conditions at 1050 Ma, followed by exhumation. Crustal thickening in the Telemarkia Terrane led to protracted granite magmatism starting at 1050 Ma and to high-grade metamorphism starting at 1035 Ma. 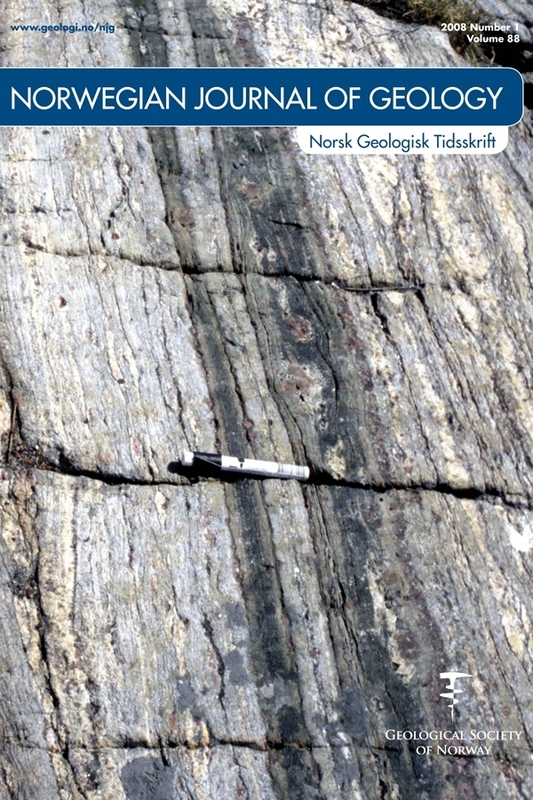 Metamorphism peaked in granulitefacies conditions in the Rogaland-Vest Agder Sector. (3) At 980-970 Ma, the Falkenberg phase reflects final convergence in the belt, shortly followed by divergence. Foreland propagationof the orogeny is indicated by underthrusting of the Eastern Segment to eclogites facies conditions at c. 970 Ma. (4) Between 970 and 900 Ma, the Dalane phase corresponds to gravitational collapse of the belt. It is associated with post-collisional magmatism increasing in volume westwards, exhumation of the southern part of the Eastern Segment as a core complex, and exhumation of the Rogaland-Vest Agder sector in the Telemarkia Terrane as a wide gneiss dome. Formation of the gneiss dome peaked at 930-920 Ma with low-pressure high-temperature granulite-facies metamorphism and intrusion of an anorthosite-mangerite-charnockite (AMC) complex.